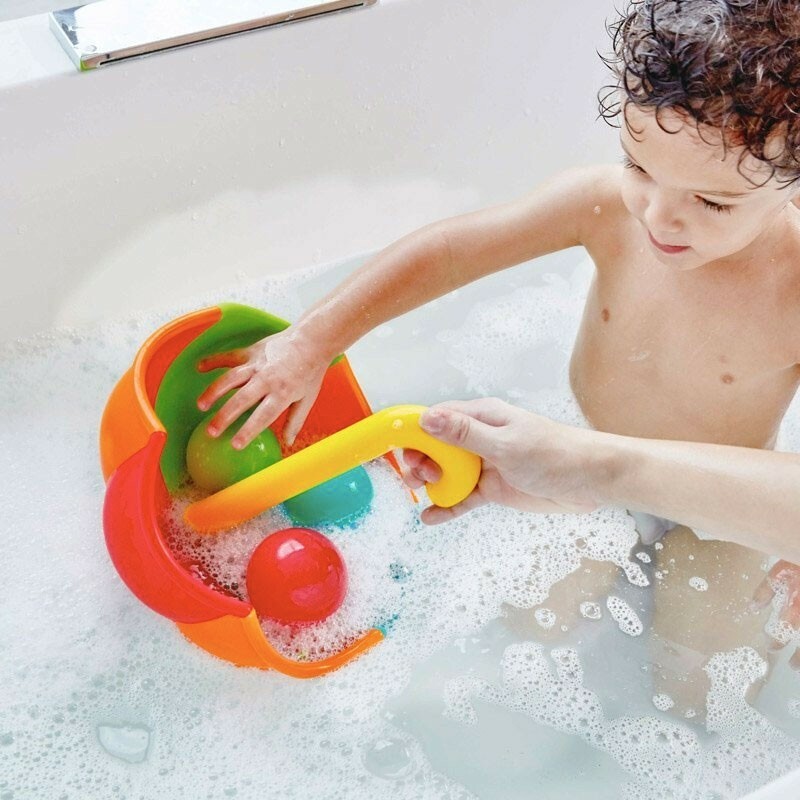 This bath toy from Hape proves that wet weather doesn't mean an end to the fun! 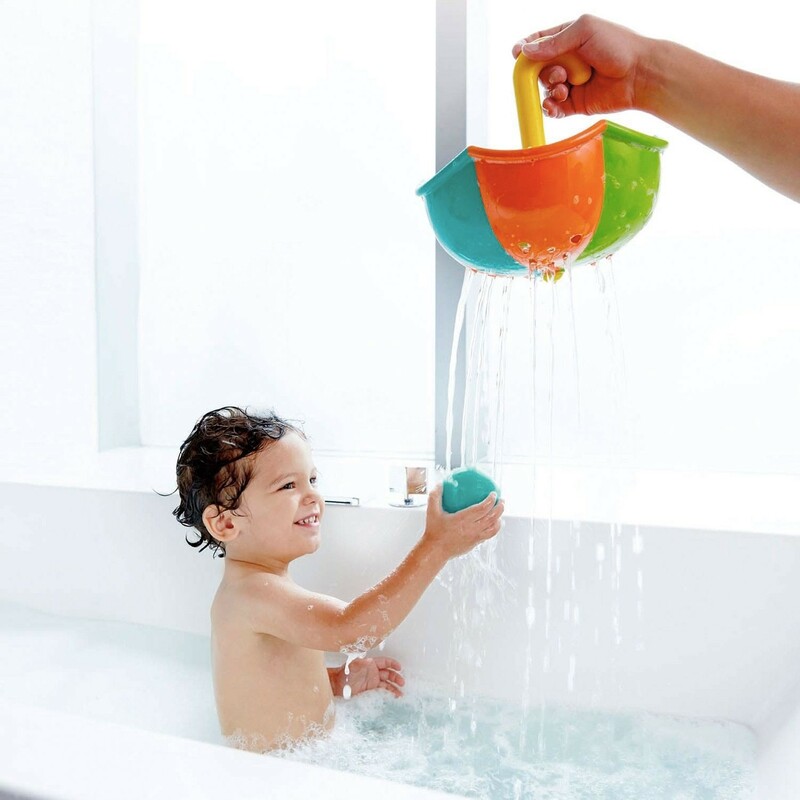 Drag the umbrella through the water to catch the balls, and when play time is over hang the umbrellas conveniently from the edge of the bath tub. 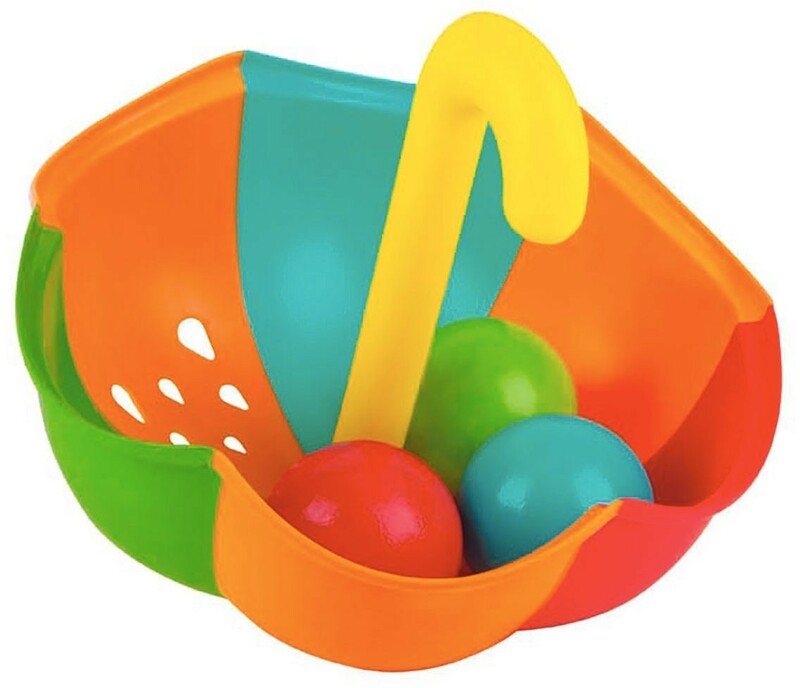 With bright and colorful designs, this set makes great addition to any bath time routine! 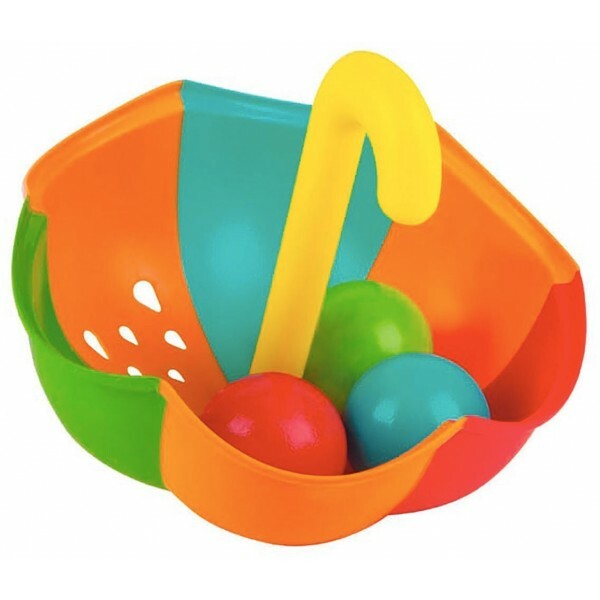 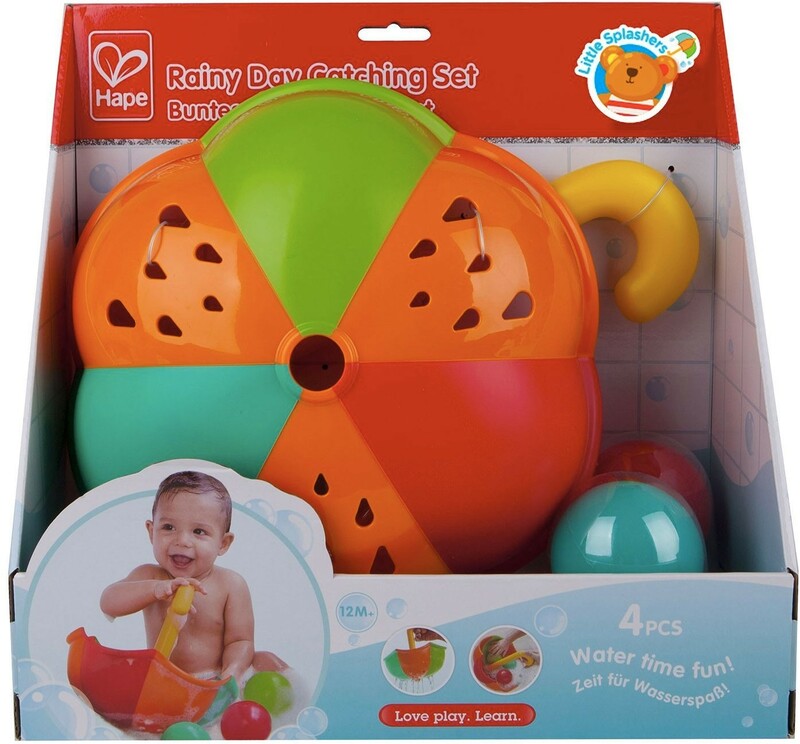 Hape's plastic bath toys are made of durable BPA free plastic, with durable, child-safe paint finishes and solid construction.